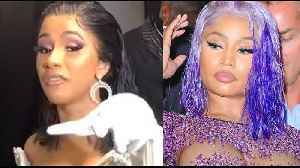 ▶ Videos for "Grammys 2019"
Cardi B Deletes IG & Nicki Minaj Cancels Summer Show After BET SHADES The Two Artists On Twitter! Cardi B’s went ahead and did the unthinkable…DELETE her Instagram. 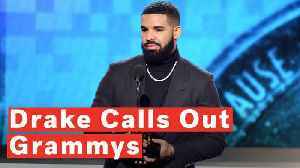 It appears it might be because of all THE DRAMA going down between BET and Nicki Minaj that Cardi has been dragged into. 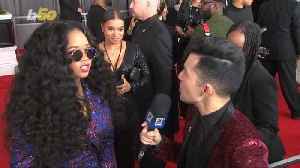 After..
Cardi took the Grammy stage for the first time and performed her hit Money…Offset’s reaction totally stole the internet AND she took home her first award for Best Rap Album. 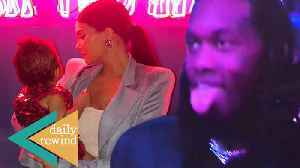 And while a lot of..
#KartikAaryan reveals more on dating #SaraAliKhan, Amitabh Bachchan and Taapsee Pannu's new film Badla first look, Ranveer Singh and #AliaBhatt Gully Boy in Berlin are among the top 10 News in..
Cardi B & Offset made their red carpet debut post split during the 2019 Grammy Music Awards and Offset’s reaction during her performance had twitter blowing up! Also, Kylie Jenner went ALL OUT for.. 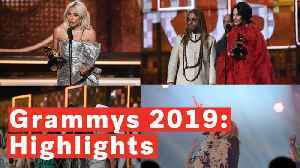 While Cardi B turned the most heads in her ornate oyster and pearl themed dress, the rest of the stars made a good showing too - from Dua Lipa’s flowing silver gown to Post Malone's majestic..
From Camilla Cabello's exhilarating 'Havanna' performance to a tribute to late singer Aretha Franklin by Yolanda Adams, Fantasia and Andra Day, here are the highlights of some of the fiery female..
From Alicia Keys to Cardi B and Post Malone, here are some of the best looks you may have missed on the 2019 Grammy Awards red carpet. 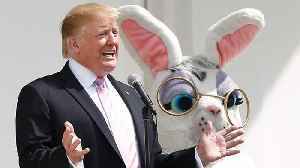 This is Childish Gambino...and America. 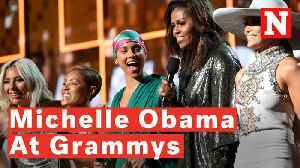 During the 2019 Grammy Awards, Former U.S. First Lady Michelle Obama received a standing ovation as part of Alicia Keys' opening monologue. Obama calmed the crowd down before going on to talk about the.. 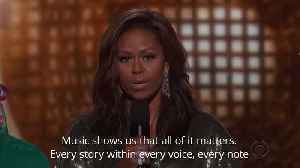 This was a cool Grammys moment. 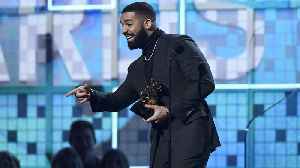 Drake's mic gets cut off after he tells the crowd "you don't need this right here" during his 2019 Grammys acceptance speech for Best Rap Song. 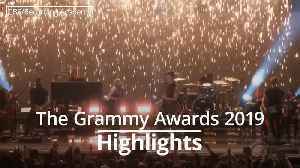 Grammy Awards 2019 kicked off on 10 February from Staples Centre in Los Angeles. 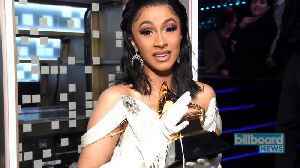 Cardi B accepted her first Grammy for her debut album Invasion of Privacy with husband Offset, holding his hand. 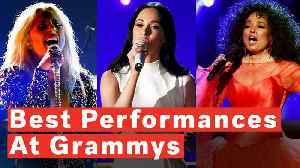 Grammys 2019: Lady Gaga, Camila Cabello, Dua Lipa add shine and shimmer to the red carpet - view pics! 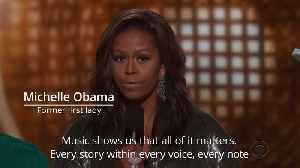 Obama said music has always helped her tell her story.